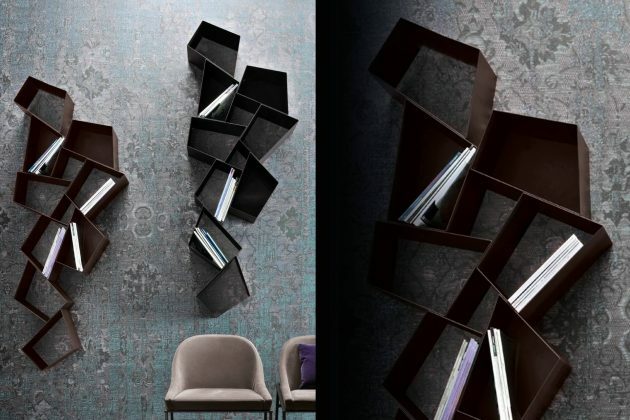 The Ronda Design metal bookcases are objects with a strong personality, that influence the character of the spaces in which they are located. 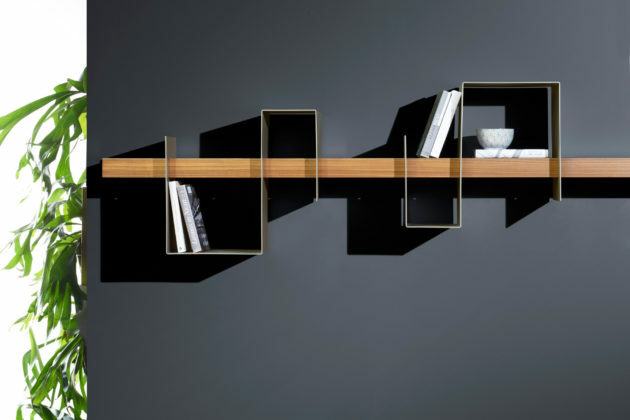 Horizontal wooden shelf carrying a series of serpentine-shaped painted metal brackets. 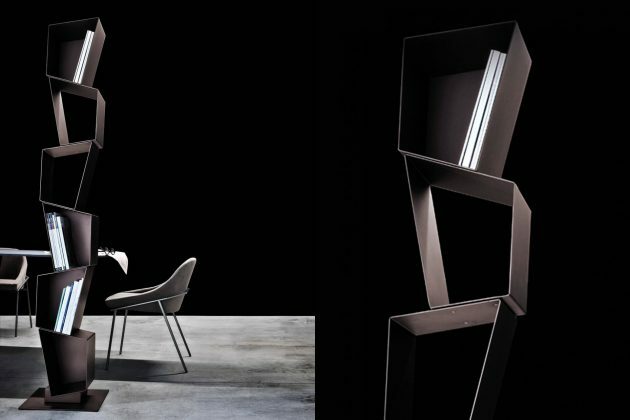 Ago e Filo can also be used in combination with other products in the Ronda Design collection and can be equipped with LED backlighting. 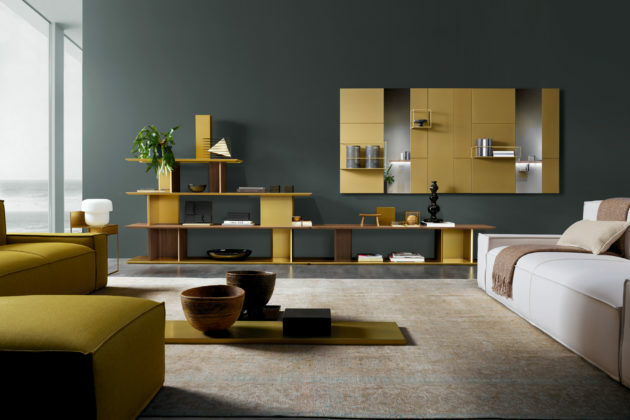 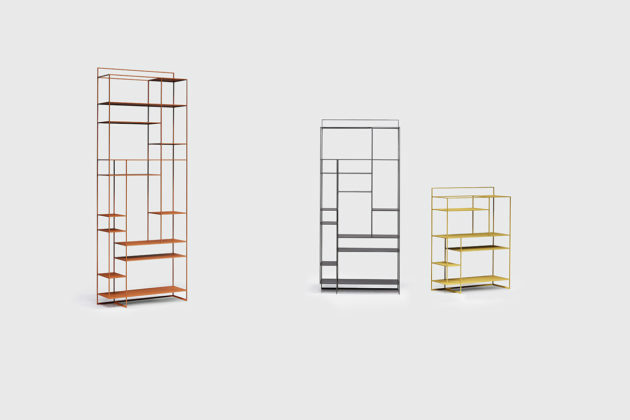 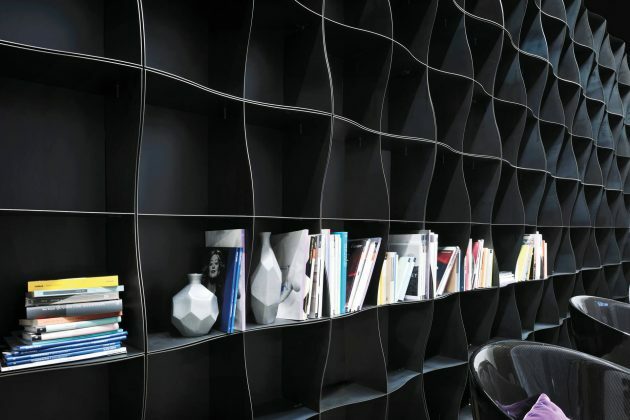 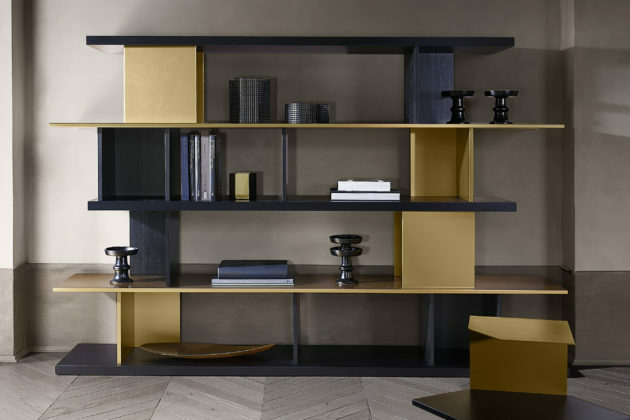 Levia is a collection of bookcases of different heights realized in iron and characterized by a minimal and slight design, which makes them a perfect fit for every kind of setting. 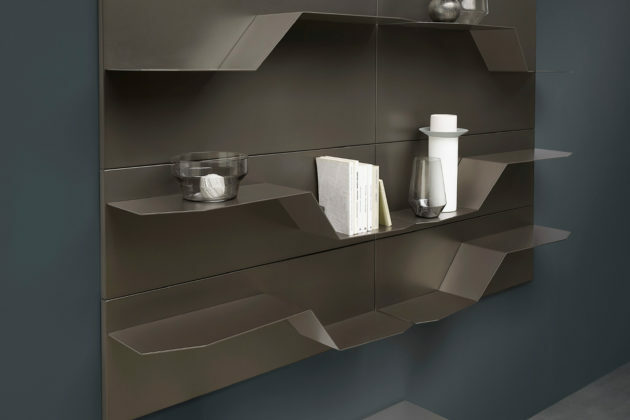 Shelves can be in metal or ceramic with marble effect.